So far, this year’s QMJHL postseason has been filled with twists and turns which very few expected. During the third week of March, 16 teams began their quest for the 2018 President’s Cup. A little more than 2 weeks later, that number was cut in half with eight squads still in the hunt. As expected, the Blainville-Boisbriand Armada #1, Acadie-Bathurst Titans #2, Halifax Mooseheads #4, Drummondville Voltigeurs #5 and Victoriaville Tigres #6 advanced to the second round. The unexpected casualties included the Rouyn-Noranda Huskies #7 who were bounced in seven games by the Sherbrooke Phoenix #10. The biggest upset was pulled off by the Moncton Wildcats #14 when they eliminated the heavily favoured Rimouski Oceanic #3 with a road win in Game 7. 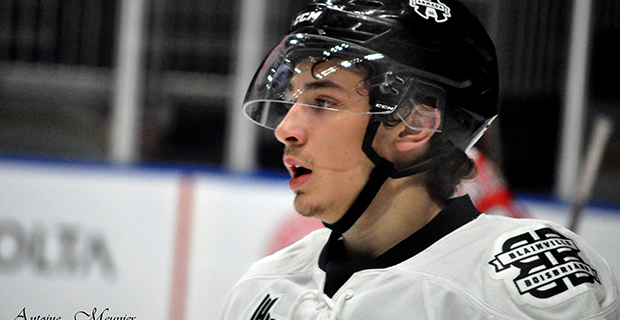 The Charlottetown Islanders #9 defeated the Quebec Remparts #8 in seven games as well. The deck has been reshuffled with the following second round matchups.